Mareike Koch was born and raised in Bremen. 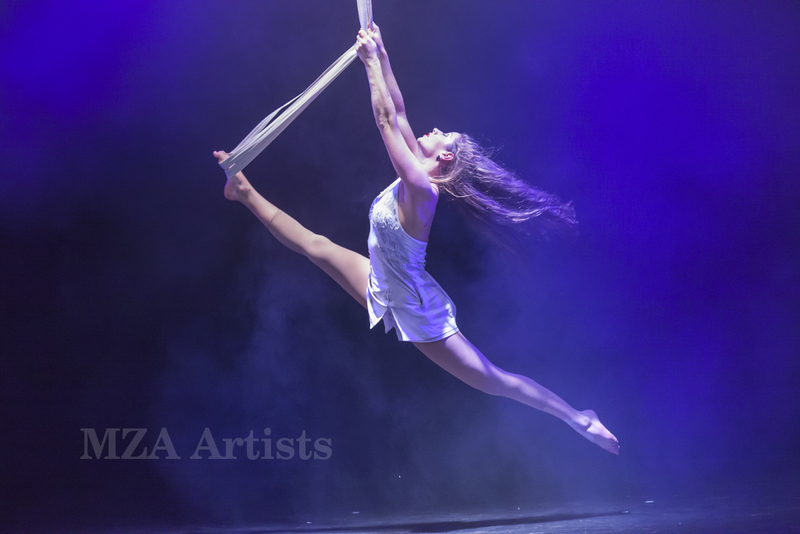 Whilst still in high school, she was invited to join the Berlin State Ballet School and School of Circus Arts, from which she graduated as a trapeze artist in 2007. That same year she starred in the smash-hit Edinbugh Festival Fringe outdoor acrobatic show A Midsummernights Tree, held in one of Edinburgh’s exclusive private gardens, receiving much acclaim for her stunning trapeze closing number. 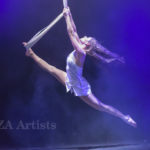 Since then she has toured the world with a number of variety shows and corporate events and has been mentored in Montreal by several Cirque du Soleil luminaries. Mareike has developed new innovative performances of dance trapeze, aerial silk and aerial straps as well as Duotrapez with her partner Anja Nestler and she also occasionally works with BASE Berlin.